I am originally from Texas, so I have enchilada sauce running through my veins. Enchiladas are one of my all-time favorite foods, and the food I use to judge every Mexican restaurant. It would seem like a diet that eliminates all grains, most dairy, and canned foods would pose a real challenge to an enchilada-lover such as myself, but really it means I have to get creative. Just in time for Cinco de Mayo, I present one variation of enchiladas that we have made and enjoyed, but there are so many possibilities. 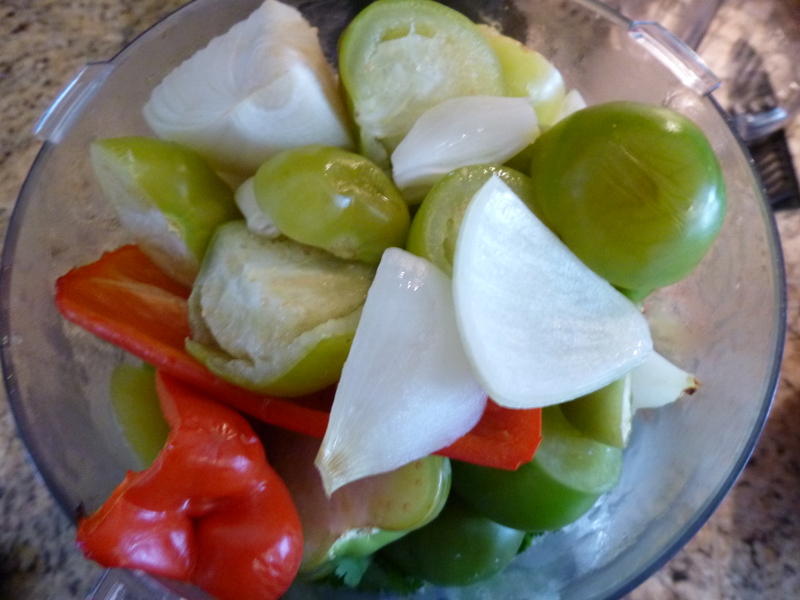 The tomatillo sauce featured here is sweet, tangy, and fresh, and I can imagine these being especially yummy paired with shrimp instead of chicken. I’d also like to work on perfecting a homemade red enchilada sauce soon. 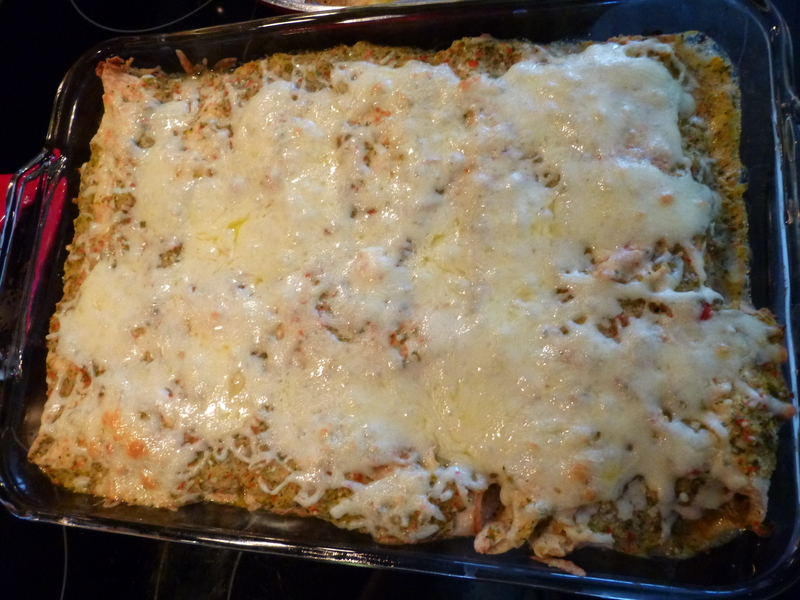 But, green enchiladas are and always have been my favorite, so I started here. These may not bear much resemblance to the cheese-sauce gooey, gravy-topped Tex-Mex enchiladas of my youth (thankfully) but I feel really good eating these enchiladas knowing they are filled with healthy vegetables and super lean protein. Like, I can eat these and not need a Mexican-food nap to recover afterwards. And Chris says he can’t even tell we’re not using “real” tortillas. Making every part of an enchilada from scratch is a time-consuming process, so I recommend either making this on a weekend when you have plenty of time or making it in stages. If you use leftover chicken and make the tomatillo sauce and/or tortillas ahead of time it would be a snap to pull together on a weeknight. And, the good news is, it makes a lot so depending on the number of mouths you are feeding you can have leftovers for several meals (and they taste even better as leftovers!). These veggies will be the basis of your enchilada sauce. 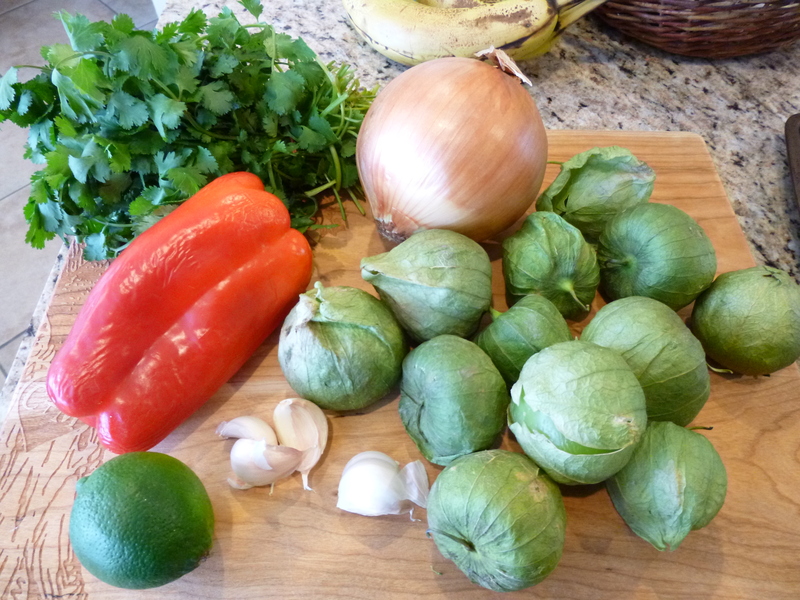 Don’t be afraid of the tomatillos. They look hard but the husk just peels right off. Don’t worry if your tomatillos leave your hands sticky–it’s totally normal. Roughly chop everything and throw them on a baking sheet. No need to be precise here. Throw everything together in the food processor. Yummmmy homemade enchilada sauce. Taste and adjust seasoning. Once it’s cooled a little, add yogurt if you want to. Don’t let anyone near this with tortilla chips…it will be all gone by the time you are ready to assemble the enchiladas! Now start on your chickens if you aren’t using leftovers. Nothing fancy, just salt and some seasonings of your choice. 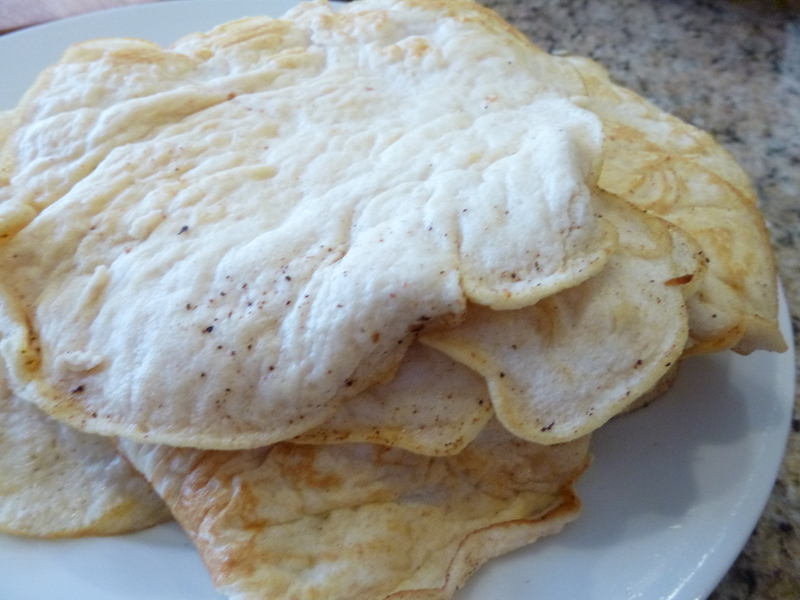 This is how my grain-free tortillas look. Against all Grain does a great job documenting the whole process, so I will spare you additional pictures. You can see they are not all the same size or shape, but they will work just fine for enchiladas. If your tortillas don’t look perfect, don’t sweat it! Saute your remaining onion and garlic and add in your shredded chicken. 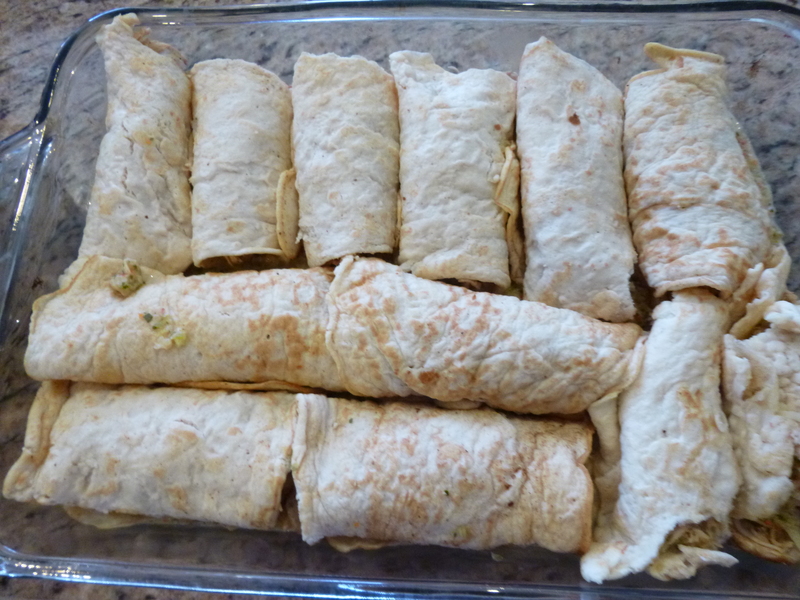 Set up an assembly line with tortillas, shredded cheese, chicken, sauce, and prepared casserole dish. If you have an extra set of willing hands around the house this is a good time to recruit them. 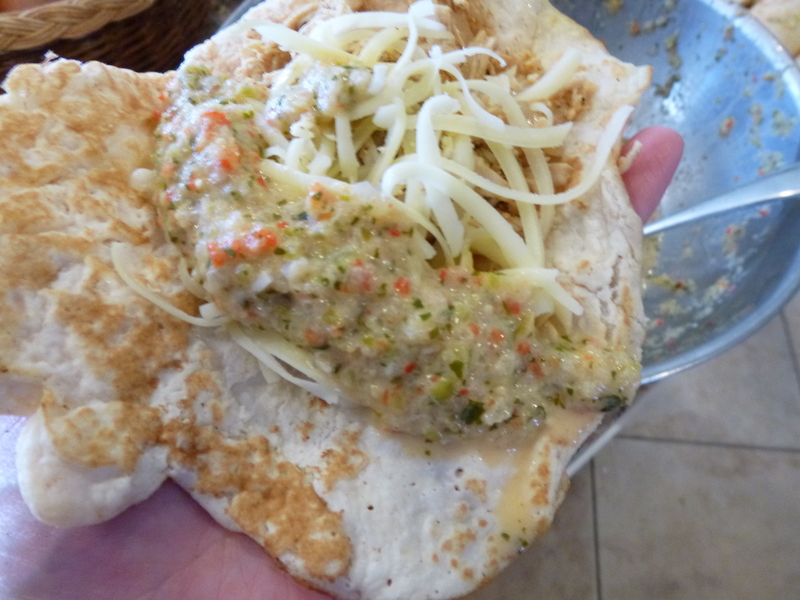 Fill each tortilla with a little chicken, a little sauce, and a little cheese. Tuck your enchiladas into your casserole dish. Smother with remaining sauce and cheese. Pop uncovered dish in the oven. This meal deserves TWO pictures! 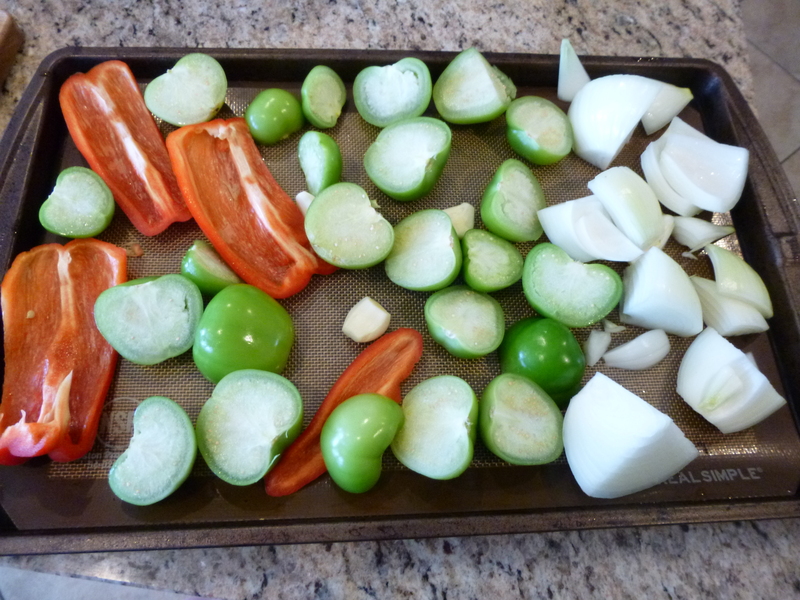 Place tomatillos, onion, bell pepper, and garlic on a parchment paper or silicone baking mat-lined cookie sheet. Roast for 15 minutes. Add all roasted veggies to a food processor, along with lime, cilantro, and spices, and blend until almost smooth or to desired consistency. 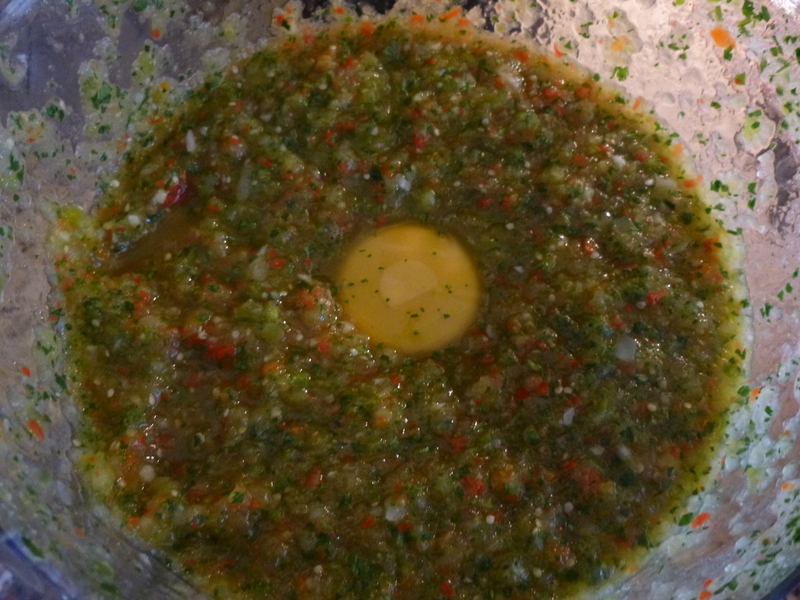 Add yogurt once the mixture has cooled a bit, if you like your enchilada sauce a little creamier. 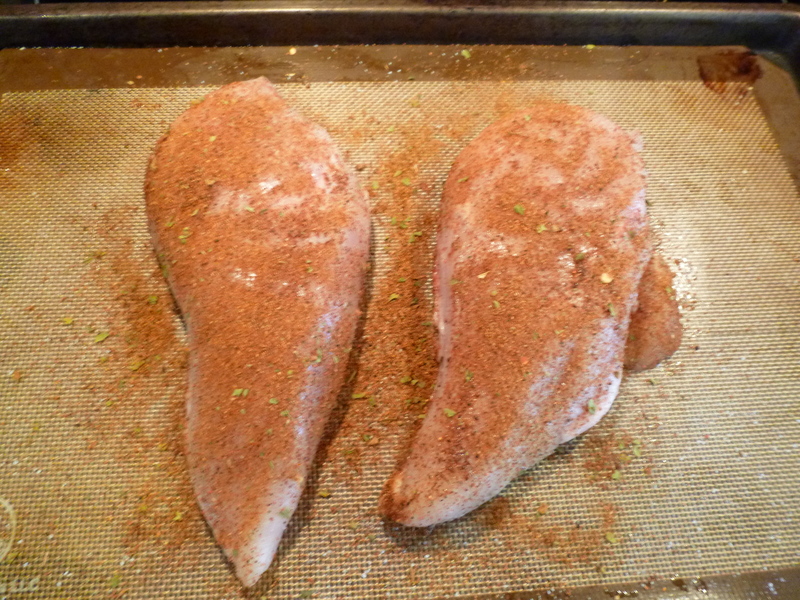 Coat both sides of chicken breast(s) with spices and sea salt. Bake at 400 degrees Fahrenheit for about 30 minutes, until a meat thermometer inserted into the thickest part reads 165 degrees. 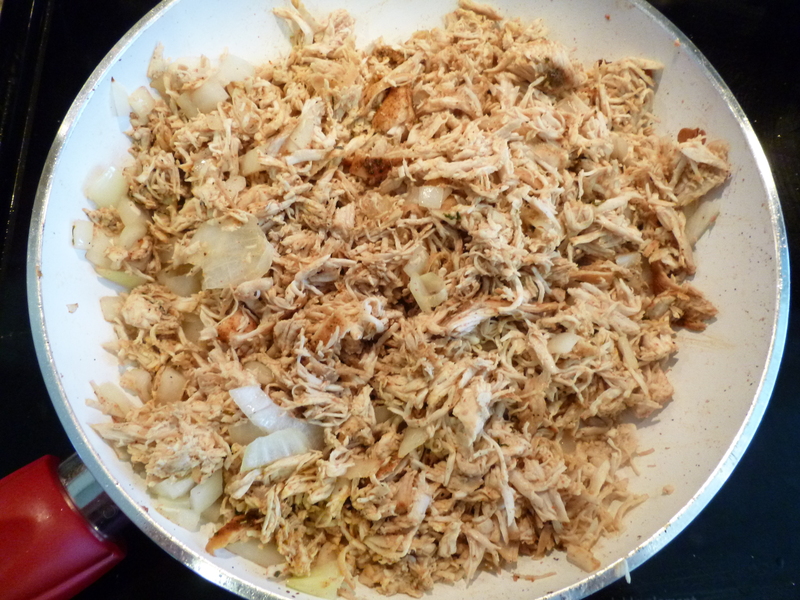 Shred chicken (I use the dough blade attachment on my food processor to make quick work of this!). Turn oven down to 350 degrees Fahrenheit. Add a bit of butter or cooking oil to your fry pan and cook remaining garlic and onion until soft. Toss with shredded chicken. Prepare your grain-free tortillas. Combine all ingredients in a non-reactive bowl. Beat until smooth. Let rest for 10 minutes, and beat again. Heat up a small pat of butter or other cooking oil over medium-high heat in a non-stick pan (I use a Bialetti ceramic non-stick frying pan and it’s amazing!). Add 1/4 cup of batter at a time. I find it works best to add a pat of butter to my pan and swirl it around. Then I hold the pan off the heat at an angle and add the batter at the top so that it runs down the pan–the thinner the better. If holes form you can always fill them in with a bit more batter. Set the pan down on the heat to finish cooking (about 1 minute, until the surface looks dull and bubbles form), then gently flip and let cook for another 30 seconds or so. This can take a little practice, but if some don’t turn out beautifully, don’t worry; after all, they are going to be smothered in cheese and enchilada sauce in a minute, so nobody will even know! Stack on a plate until ready to stuff. Assemble your enchiladas! Spoon a bit of the enchilada sauce in the bottom of a glass casserole dish and spread thinly. 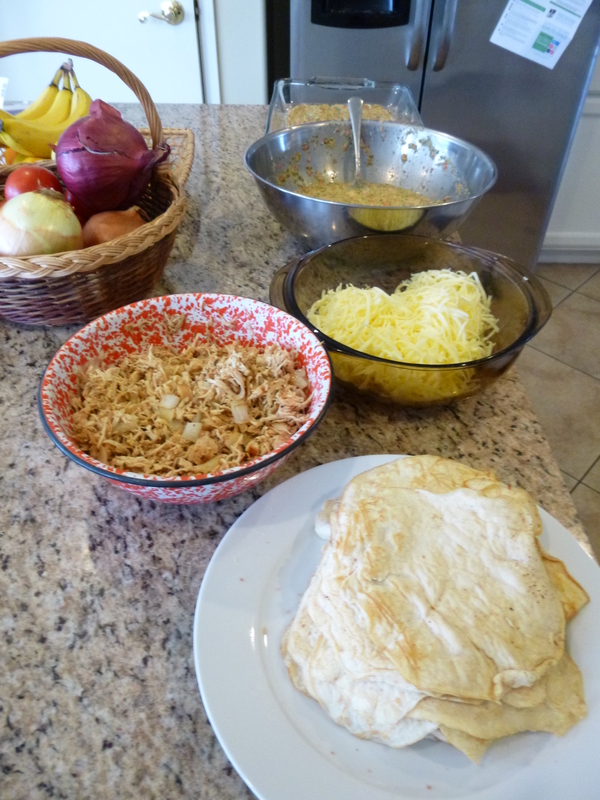 Then, take each tortilla and add shredded chicken, a pinch of cheese, and a smear of enchilada sauce. You want the tortillas full but not so full that you can’t roll them all the way closed, so the exact amount of filling will depend on the size of your tortillas. 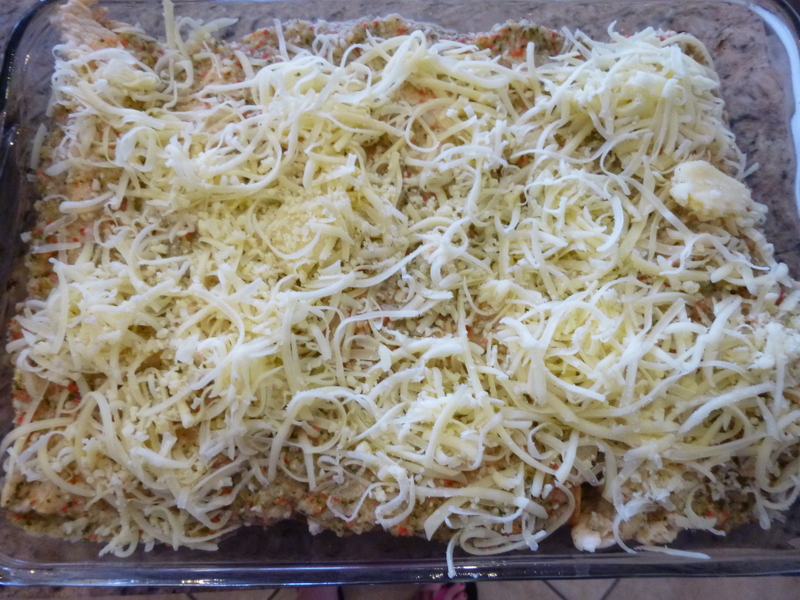 Tuck the enchiladas into the casserole dish and repeat until all your tortillas are stuffed. Spread remaining enchilada sauce on top of enchiladas and top with remaining cheese. 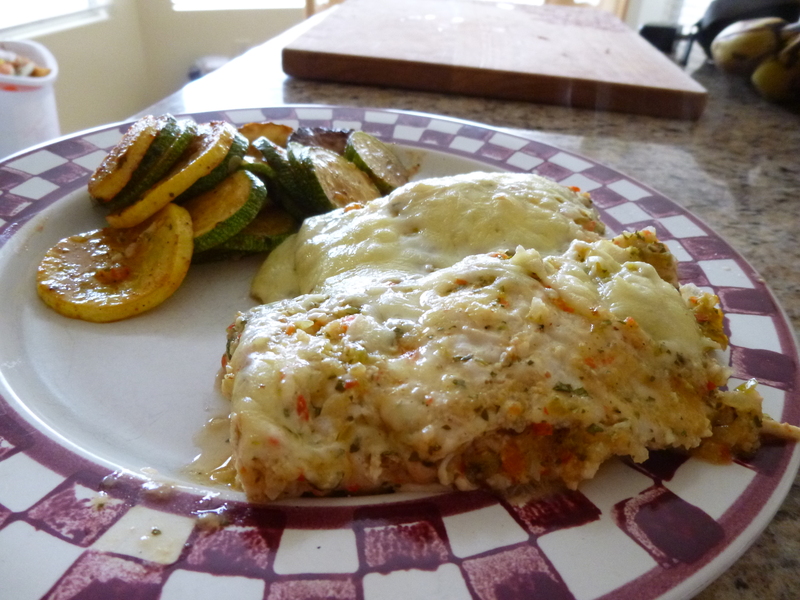 Bake for 30 minutes, until cheese is melted and sauce is bubbling. 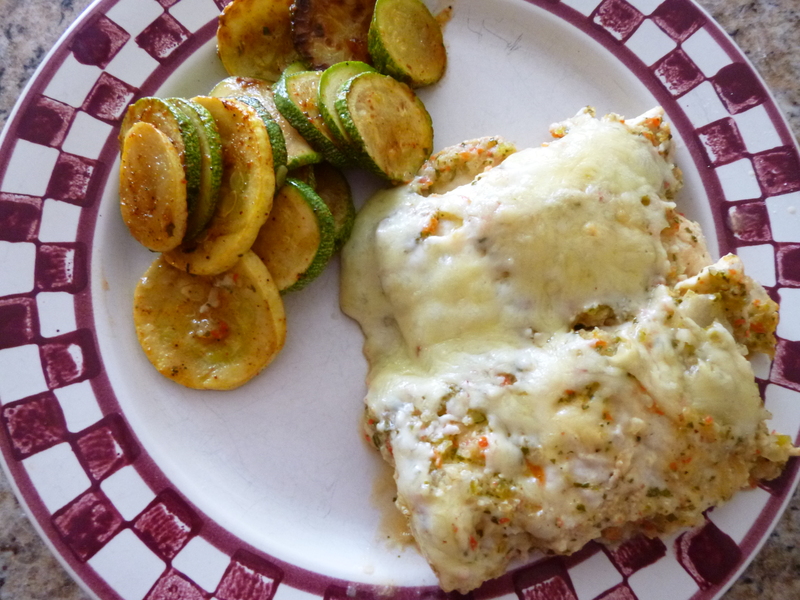 I served mine with crookneck squash and grey Mexican squash sauteed quickly in butter. Serve with extra plain yogurt in place of sour cream, hot sauce, and slivers of avocado, if desired.